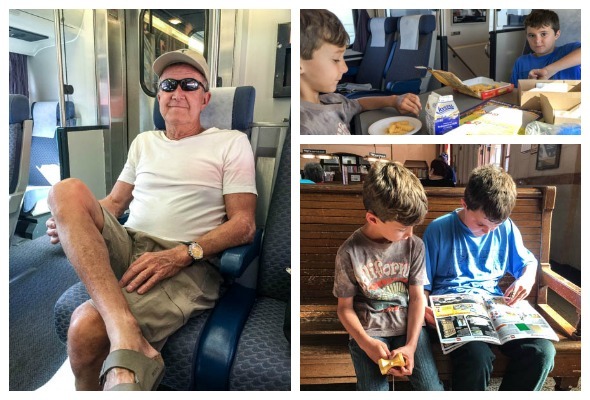 Even though I haven’t finished posting about our Utah trip (some things came up), I’m leaping ahead to share our train trip adventure from this past week. 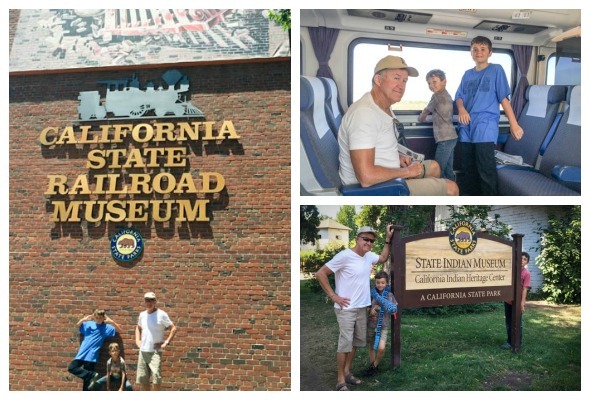 To kick off summer with the monkeys, Pops and I decided to take the Capitol Corridor Amtrak train from San Jose to Sacramento to visit the train museum there. 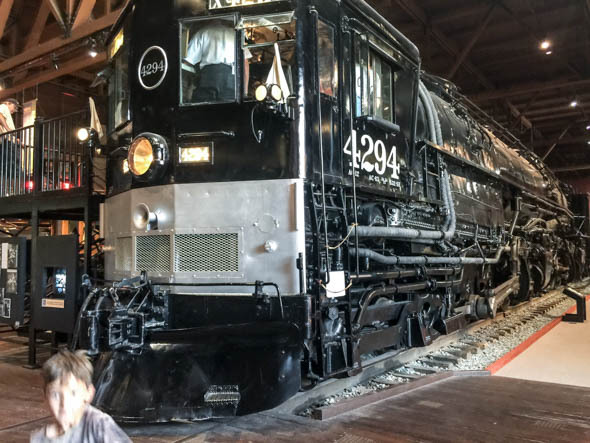 If you have little ones who love trains, or if you love trains, then this is the museum to visit. 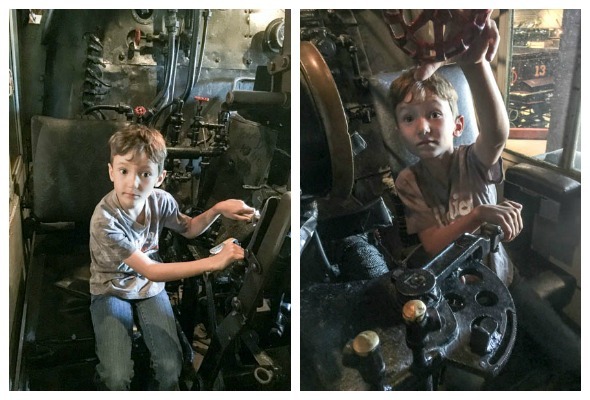 History and hands-on experiences abound in this place. 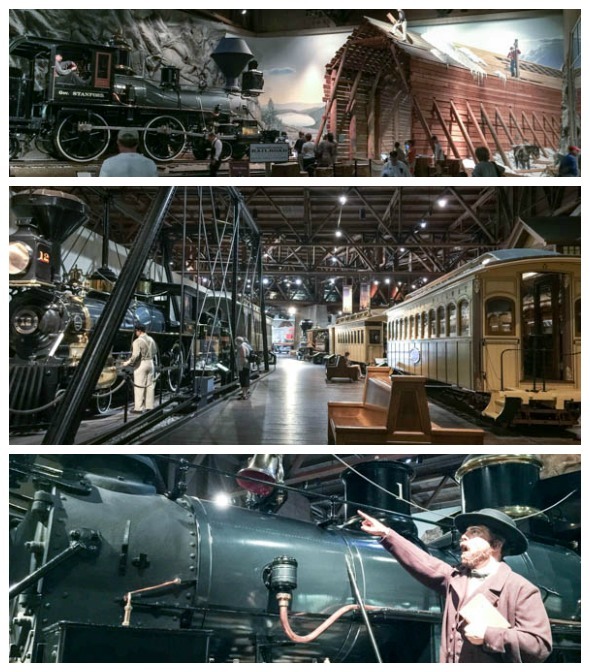 It was sS\o much fun actually getting to go into different train cars. See the train car Hunter is in below? Can you even imagine jumping up onto this car as it’s moving down the tracks?? The actors in movies make it look so easy….they must all be a LOT taller than I am. 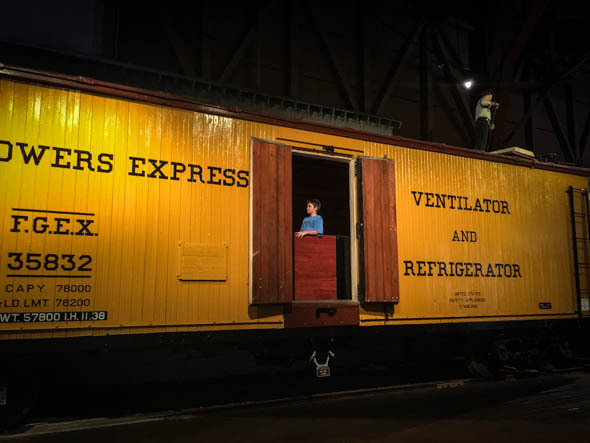 It was also fun to walk through the different “fancy” cars – sleepers, dining rooms, kitchens, etc. 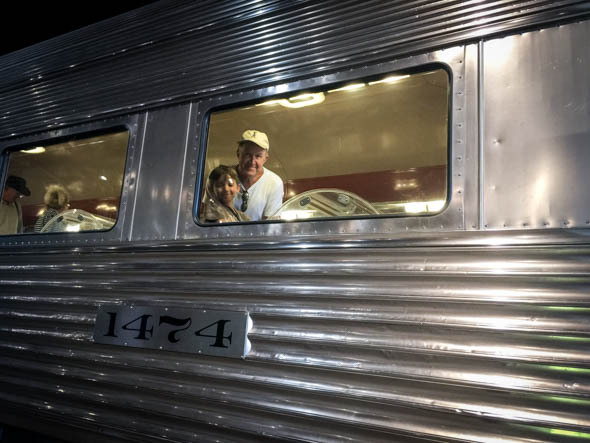 I promise I was envious of the cars that were decorated like living rooms and libraries – I could totally see living in luxury on a train like that! 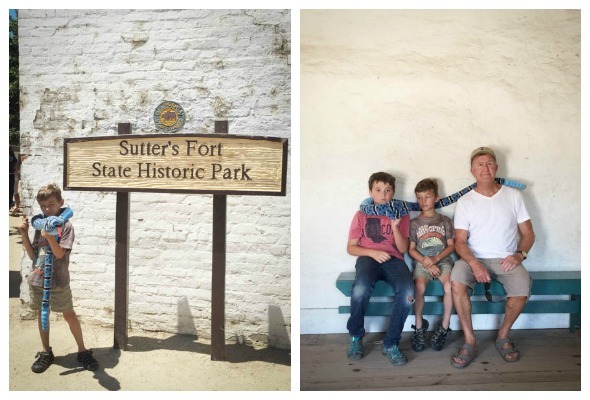 After our visit to the museum, we took a lunch stop and visited Old Town Sacramento (which is right next door). 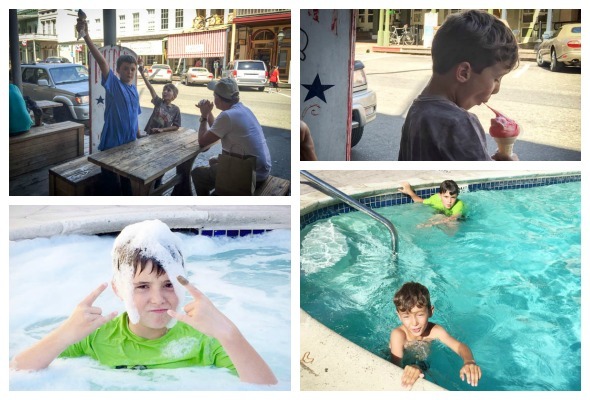 AND, of course, on this warm day, we had to have ice cream and then a dip in the pool back at our hotel (which was across the street). 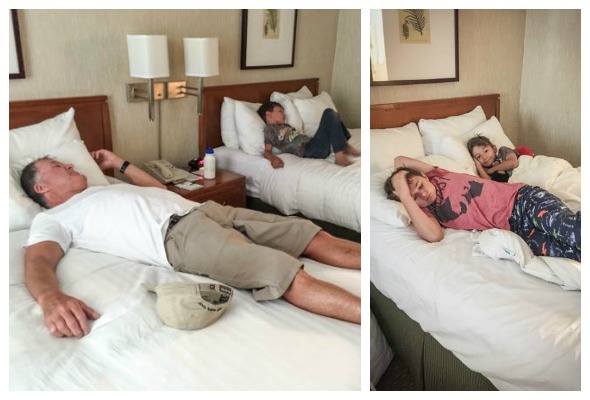 After such a full day, it was time to collapse before day 2’s adventures! 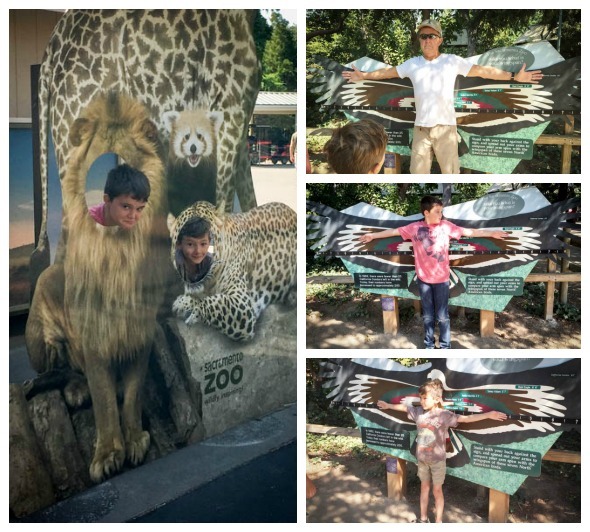 Day 2 included stops to the Sacramento Zoo, historic Sutter’s Fort and the State Indian Museum. 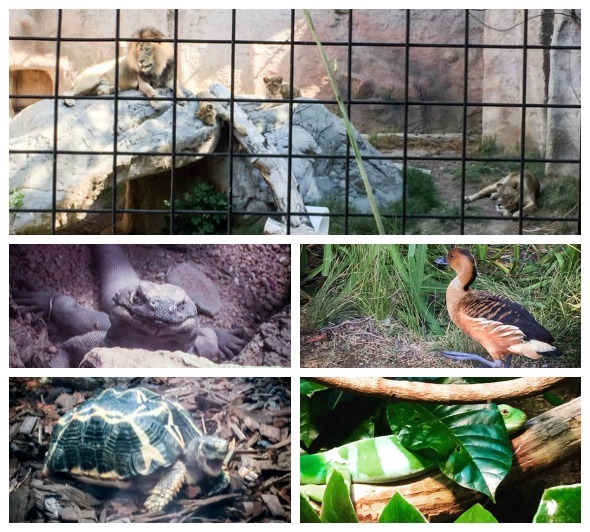 We got to the zoo early and it was a good call as most of the animals were up and about before the day warmed up too much. It was so much fun even on a pretty warm day. 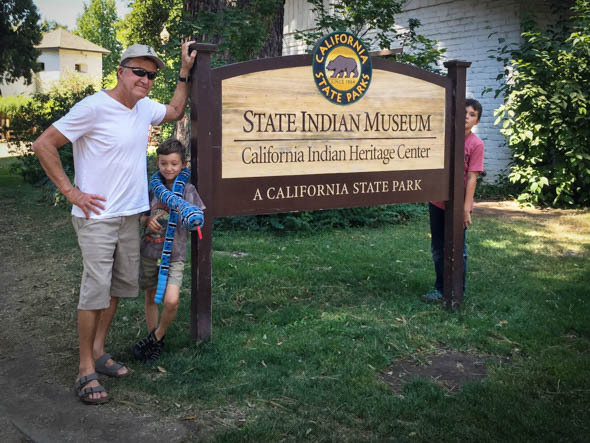 Next stop….the State Indian Museum & Sutter’s Fort. Did I mention that we used Uber to get us from place to place?? My first time using Uber and it was so easy and super fun for the boys and I to submit a request and then watch the driver’s car approach us on the map through the app. 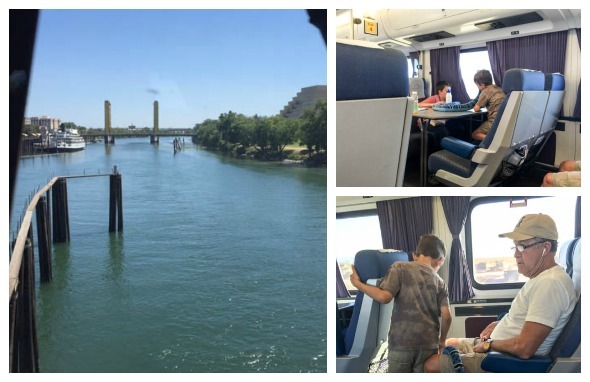 After two wonderful and full days in Sacramento, we headed back to the train station for our trip back home to San Jose. AND so summer begins!! More adventures to report soon!